Keepers, interpreters, guides, and docents can dive into the fascinating world of animals online as the San Diego Zoo Global Academy presents Introducing Animals, our newest series about animal species. Each module provides an overview of the animal’s physical characteristics, distribution and habitat, behavior and ecology, and reproduction, as well as important conservation efforts dedicated to its protection. Images, video, and interactivity sprinkled throughout the module engage participants in the learning process, and questions at the end of each section ensure that they have mastered fundamental concepts. Each course in the Introducing Animals series takes about an hour to complete, although participants progress at their own pace. The newest course, Polar Bears, addresses common questions and provides an up-close exploration of what polar bears are all about. Whether you’ve worked with these animals for years or you’re a brand-new interpreter or docent, the module will equip you with a better understanding of these mighty bears. Polar Bears joins Tigers and Gorillas as the first modules in our new series. Look for modules about giant pandas, cheetahs, and elephants coming soon. The modules can easily be integrated into your current training program. At the San Diego Zoo and Safari Park, participants complete the online modules on their own before attending group training programs. They are able to master key vocabulary and concepts, giving them a solid foundation that allows them—and their trainers—to make the most of in-class and on-site training. Do you have animals that are unique to your institution? You could use the Introducing Animals series as inspiration to create your own modules for those species, thus making your custom site unique to your training needs. How do you do this? The Academy’s “DIY,” or Do It Yourself, course creator menu option can be added to your custom site. It allows you to take a PowerPoint presentation and upload it into the tool, where you can add audio and a quiz. This course then becomes a part of your unique course catalog within your site. To find out more about this optional site enhancement, contact Linda Duca, lduca@cypherworx.com who can share more information. To get more information on the Academy, please contact Jon Prange, jprange@sandiegozoo.org or Linda Duca, lduca@cypherworx.com. The San Diego Zoo Global Academy welcomes the Calgary Zoo! 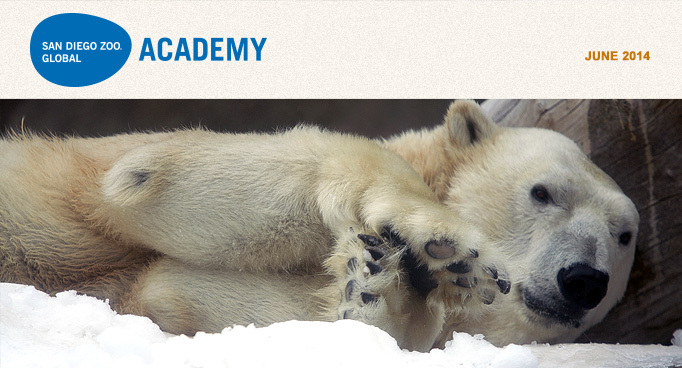 The Calgary Zoo has joined the Academy's collaborative learning environment! They will have two privately branded customized sites, one for their employees and one for their volunteers. Welcome! 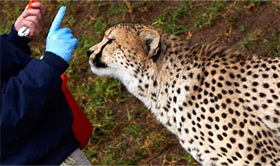 My Academy and The Volunteer Connection are the privately branded custom employee and volunteer sites at San Diego Zoo Global. 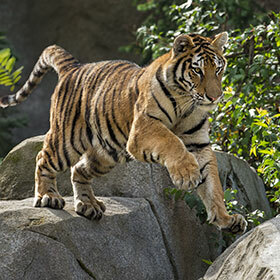 With the launch of the San Diego Zoo Global Academy, we set out to integrate online training into our own organization, and this section of the newsletter highlights helpful hints from our respective sites. Monthly Meetings that Not Everyone Is Able to Attend? Your department could post your PowerPoint presentation in the Academy Resources section, along with any notes, and ask those who missed the meeting to review the presentation there. Another option is also now available: record audio to go along with your PowerPoint, create quiz questions and the answers, and send all this content to CypherWorx (for a fee). They can then help load the presentation as a course to be administered through My Academy. Are volunteers always asking you “when is that training/meeting/thing again?” Populate your Academy Events calendar for the year, and remind them to check it when they have questions. You can post all of your meetings, training sessions, and more, with details such as time, location, what to bring, and who is invited to attend. Have a volunteer or two check it monthly to make sure it’s correct and up-to-date. You can also post events within specific groups as needed. It’s a great tool to keep everyone on track!